Storage Organizers There are 12 products. Clutter doesn't stand a chance with this basket around. Pick it up by the braided handles and move it to where it's needed most. It not only provides storage but it's also stylish. Black and white stripe design is timeless and teeming with cottony texture. 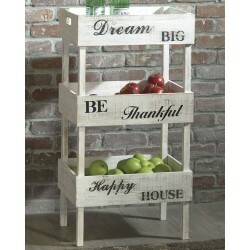 This basket set is a naturally attractive addition to your home. Quality crafted of jute, it's durable and a great way to organize with style. Keep fashion flowing throughout your home with this basket set. Braided blue cotton with natural jute gives these baskets global appeal. Perfect for bohemian inspired homes. Keep fashion flowing throughout your home with this basket set. Braided black cotton with natural jute gives these baskets global appeal. Perfect for bohemian inspired homes. Sip your Sarsaparilla in style with this retro-chic beverage tub with stand. Its galvanized metal finish charms with yesteryear flair. Built-in bottle opener makes self-service a snap. Clutter doesn't stand a chance with this basket around. Pick it up by the braided handles and move it to where it's needed most. It not only provides storage but it's also stylish. Geometric pattern in yellow, gray and cream is trendsetting and teeming with cottony texture. Whether your design sensibility is country cottage or modern farmhouse, this wood storage shelf is a trÃ¨s chic choice for the kitchen and beyond. 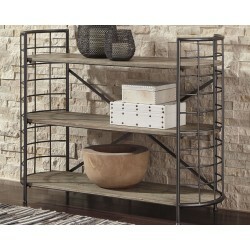 Gently distressed finish gives this tray-style shelf that sense of yesteryear simplicity we all crave. Help yourself to a retro-chic sense of style with this beverage tub with stand. Smooth-gliding casters and metal grill shelf for glasses and bottles let the good times roll. Galvanized metal finish makes it feel so authentic. Modern farmhouse style is on a roll. Cultivate the look with this beverage tub with stand. Its chippy antiqued white finish and stenciled details are bygone beautiful. Hung by built-in hooks on to the foldable stand, the tub can easily be removed for convenient cleaning. If you've got a penchant for urban eclectic design, this storage cabinet has your name written all over it. Slatted pull-out bins, recessed paneled sides and canted paper clip legs offer form and function at an affordable price point.